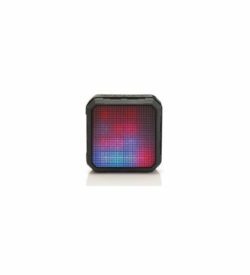 Speakers | View our catalogue products | SiliconBlue Corporation Ltd. 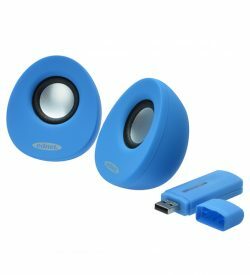 Compact and modern desktop speakers with excellent sound. 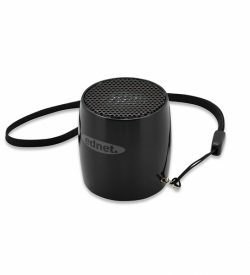 The ednet 2.0 Multimedia Desktop speakers are a perfect companion for your notebook or PC. Through the clean and full stereo sound of the speakers your media become a true sound experience. 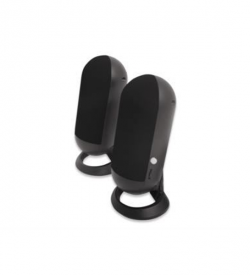 Thanks to the modern and compact design, the 2.0 Multimedia desktop speakers fit perfectly into any environment. 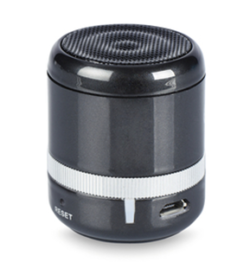 The power of the speaker is ensured via the USB port of your device. It is up to you whether you use to connect to your device or a USB charger (item 31803) to use for the local power grid. Of course, here also offers the use of our Bluetooth Audio Receiver with USB Charging Port (item 50002) on, because then you power the speakers not only with electricity but also make them at the same time even Bluetooth® capable. Thus, the speakers are flexible. 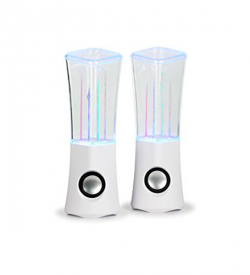 The volume control is, in addition to the usual control over the PC or notebook, directly to the speakers themselves. You want more than a simple speaker? - If so, the ednet Color Splash is a great and splashy alternative. 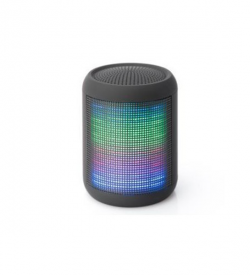 You can connect this speaker easily to your PC, Smartphone, or any other device with an 3,5mm audio output. 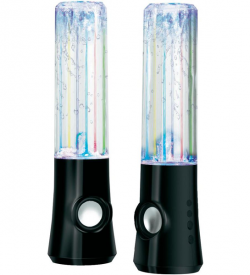 There's no need for extra batteries, you just have to use the USB power cable and thus create a great spectacle of water and light. The generated water fountains fit to every different beat and thanks to the four different bright colors, "Disco feeling" is coming up at home! Minimum size - maximum sound. Cut the cord and listen wireless to the music! 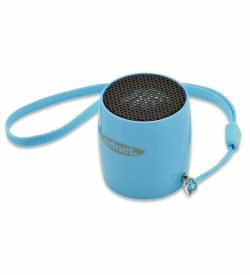 The Ednet MiniMax speaker works with all Bluetooth devices, but can be connected with a 3.5mm audio cable to other devices via the AUX-in jack. Just stick it! Rich sound anywhere. The waterproof STICKY SPEAKER accompanies you through the day. Just take it along and attach it wherever you are, to the bathroom mirror, the refrigerator, the office door or the window. The cute speaker has a really strong suction cup and is splash-proof. Thanks to the Bluetooth feature it provides a rich sound anywhere. 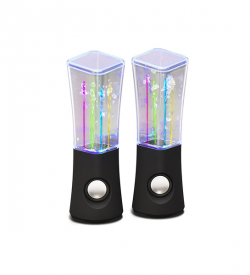 Just play your favorite music from your smartphone or tablet. The volume can also be adjusted through the function keys directly on the speaker. Here you can also activate hands-free calling and thus use the STICKY SPEAKER for conference calls and for hands-free calling in the car. And when you just need some peace and quiet: Use the STICKY SPEAKER as tablet or smartphone stand. Touch to amplify. No set up needed. Suitable for most mobile phones. 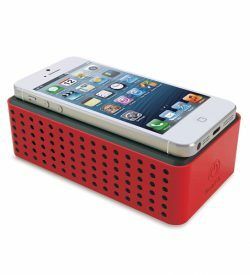 The Magic Sound "magically" amplifies the sound from your smart phone. It uses the patend pending NearFA (Near Field Audio) technology. Unlike Bluetooth or Wireless LAN, the Magic Sound does not require any configuration or installation because NearFA takes advantage of the phone's "hidden" inductive coupling mechanism to transmit audio signals. "Magical" NearFA technology, Works with most mobile phones (Apple, Android and others), Powerful output of 2.5W X 2 RMS, Playtime: up to 15 hours while using 3 X AA batteries, Batteries not included, 3 X Silicon banderole (red, grey, green) are included.